8.1.5 is going along super smoothly too. It’s actually fairly packed for being the second update. Really just need to finish up the races. Almost there. You can have your troll pally soon. I donu00b4t think 8.1.5 will be there March the 5th but more late March – mid April. And 8.2 more around mid June. Annoucment Allianced races at November 2017 yet launch them 2 years and 3 months later? Not cool Blizzard or IS IT activiu20acion now? July 16th sound like a better date for 8.2 because calendar has no events that tuesday, 8.1 launched when there was no events iirc as well. 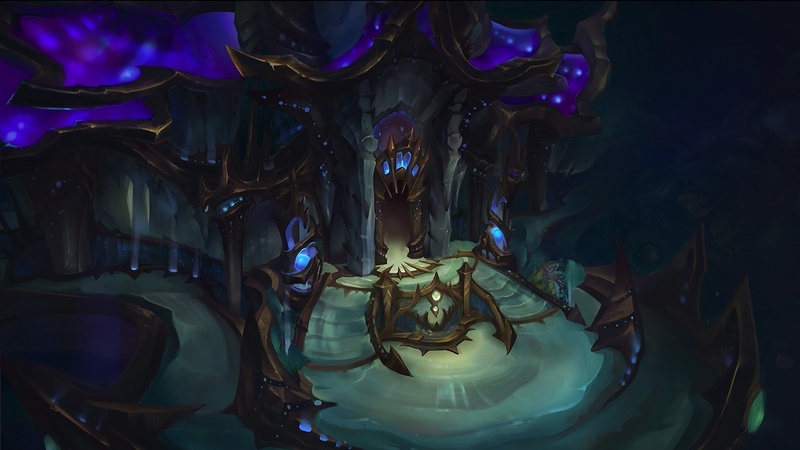 Uldir was up for 19/20 weeks or something like that, so not sure if we can say / predict it’ll be 11 week cycles for future raids. Annoucment Allianced races at November 2017 yet launch them 2 years and 3 months later? So your math is off by a year. Every WoW expansion has had content that wasn’t available upon launch. We didn’t walk into Icecrown on WotLK launch day. Why is this suprising to so many people? I think lettting the narrative develop in game is better than just an offscreen ‘oh look, these people are your friends now’. Activision/Blizzard doesn’t have enything to do with Blizzard’s pacing of the feature. But I’m pretty sure Blizzard has a lot more data than you do. Why we buy beautifull mounts when we cant flying? The problem here, as usual, is the lack of communication from Blizzard. They could just have told us “It’s coming in a later patch” instead of just saying “No information at the moment” for 9 months. Also the “Dreadwake subscription” has existed for years, the only difference is that now you get a mount with the 6 month subscription, which you didn’t have before. Personnally makes me really happy, I’ve been subbed non stop since Wod (played since Vanilla but stopped periodically in Cataclysm and Mop), but always paid per month because “you never know”. Well, the mount made me purchase the 6 months all at once. I’m not planning on stopping anytime soon, it makes me pay less, and I get a cool mount, why should I complain? And to be fair the quality of these races widely differs so much, that one is actually kinda frowning alot about. So yeah now this “new” we need to make friends first is totally made up BS of all the protectionistic fanboys. That book was closed wit 8.0.1 and 8.1 at least should have opened with us having them. Sure you got your DK not gifted at WOTLK but it was not in the middle of the expansion either. So lets be realistic. Besides these races are in quite the same state as they are in now for months…nearly nothing new, just balancing issues…that are actually in generel quite strong with all AR so far. 5 weeks to add more faces to the males. 3.1.5 is certainly not comming next week, they usually have 2 weeks of lead up time on patch announcements. And it doesnt look like they are finished adding content, nor balancing it. Aaaaa same! I need my chubby lady! I paid $70 for some reskinned races and havenu2019t gotten them yet, the major selling point of BfA for me. If this were any other purchase, this wouldnu2019t be okay so why are the majority of you nerds alright with it? u201cYes sir, this is the finest vehicle money can buy. It has everything, even a self driving feature!u201d Ahh but wait. You have to wait five months to be told that itu2019s speculated that it may coming in a few more months. No. No, itu2019s not acceptable. Iu2019d also like for the dev team to quit getting on a webcam and speaking to the community in such a condescending tone. Dont be silly, you already gotten 6 out of 8 the races. Your complaint has no legs to stand on.